PK-12 teachers can apply to be part of the English for Speakers of Other Languages (ESOL) Institute and earn an Arkansas Department of Education Professional Development Certificate in Teaching English Learners. An ADE grant will cover the cost of professional development. The ESOL Institute will provide PK-12 teachers with training to meet the educational needs of students for whom English is a second language. The U of A College of Education and Health Professions will select 100 PK-12 teachers to participate in the Institute, based on predetermined criteria such as percentage of ELs in the district/school/classroom. ADE selected the U of A as one of three institutions in the state to provide ESOL Institutes in 2018. Participants will attend intensive six-day summer workshops, attend four follow-up workshops during the 2019-20 academic year, and complete online work. There will be one Friday in the fall for which teachers will need to take a personal day. There are a total of 100 face-to-face contact hours - 60 hours during the summer and 40 hours during the fall and spring semesters. Online work will cover four modules, and students are expected to take about 18 to 20 hours to complete each module. Participants who successfully complete the workshops and online modules can earn Arkansas Department of Education Professional Development Certificates in Teaching English Learners. Those who successfully complete the program also will be eligible to apply for a $600 stipend from ADE. These 12 credit hours will partially fulfill requirements for an ESL endorsement for teaching licensure from ADE. Teachers must send their transcripts AND passing scores on the ESL Praxis 5362 to receive the ESL endorsement from ADE. Tuition and fees will be $2,676.28 plus a $60 graduate admission fee. The $60 graduate admission fee is due during application to the U of A by May 24, 2019. You will be enrolled in four consecutive eight week classes. Two during the fall 2019 semester and two during the spring 2020 semester. Tuition of $1,338.14 will be due by August 23, 2019, January 10, 2020, or the day you register for the second 8 weeks of the semester. Payment plans are available through the U of A Treasurer's Office. 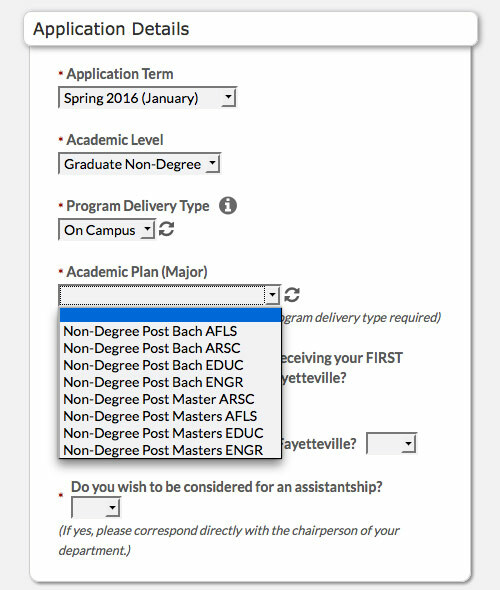 Those who successfully complete the academic graduate credit option, which includes the requirements for the professional development certification, also will be eligible to apply for a $600 stipend from the Arkansas Department of Education. Breakfast will be served daily from 7:30 am to 8:00 am, and snacks are provided. Classes meet daily 8 am to 6 pm with a working lunch. Who is eligible for ESOL Institute? Students must be inservice teachers who have a teaching contract for 2018-19 in an Arkansas public school PK-12. Are there any out of pocket expenses for the professional development portion of this training? Books, materials, breakfast, lunch and snacks are included. Overnight lodging will be provided to participants who must drive more than an hour each way to the face-to-face site. Dinner and transportation are not included. Yes, there is a wait list. Will I be notified if I am on a waitlist, and when do waitlist participants know if they have been selected? Yes you will be notified if you are on the waitlist. As seats become available, you will be notified, up to the time the institute starts—by June 4 for the first cohort and by June 18 for second cohort. What happens if I can only come to part of the professional development training? Should I apply? Attendance is mandatory. If you cannot commit to the dates outlined, you should not apply at this time. Why is the professional development paid for and the credit courses are not? In the past, the Arkansas Department of Education (ADE) paid for the tuition and fees. They are no longer doing that. However, the tuitions and fees are deeply discounted and we have provided an additional $800 scholarship for tuition and fees. The ADE is planning to offer a $600 stipend to those that complete the professional development, which you could use toward the tuition and fees. Why are the fees for credit lower than what is stated on the graduate tuition and fees website? This is a specially discounted rate agreed upon by the university for this grant since the Arkansas Department of Education is paying for professional development administrative costs, presenters, books, supplies, and instructor of record. I have food allergies or need to request special lunches. How can I do that? If you are accepted into the Institute, you will be asked about food allergies. Vegetarian options are included in the buffet style breakfast and lunch. Will this program be run in the future if I am not accepted this time? We plan to run the program in 2019 and 2020 in addition to 2018. What is the difference between the two options (professional development and graduate credit)? The coursework is the same for both options with one exception. Professional development only participants will not attend the ESOL PRAXIS review day in January and are not required to take the PRAXIS exam. The estimated hours for the professional development only option are 172. The estimated hours for the graduate credit option are 200. Those students who choose the graduate credit option will earn the ESL endorsement on their Arkansas Teaching License. You must choose one or the other, professional development only or graduate credit. All students will earn the Arkansas Department of Education Certificate for professional development hours in ESOL. Please be sure that you have read all the information provided in the application before asking questions. 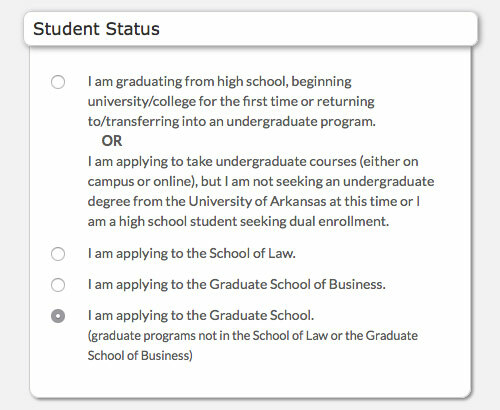 If you ask a question that is covered in the application, you will be referred back to the application. For additional questions, email Judy Hobson, the Project Director, at eslajudy@gmail.com or call her at 479-530-2846.